The global gap in funding for nets and non-net costs over the next three years is estimated to be US$500m or 100 million nets. That equates to tens of millions of nets per year. 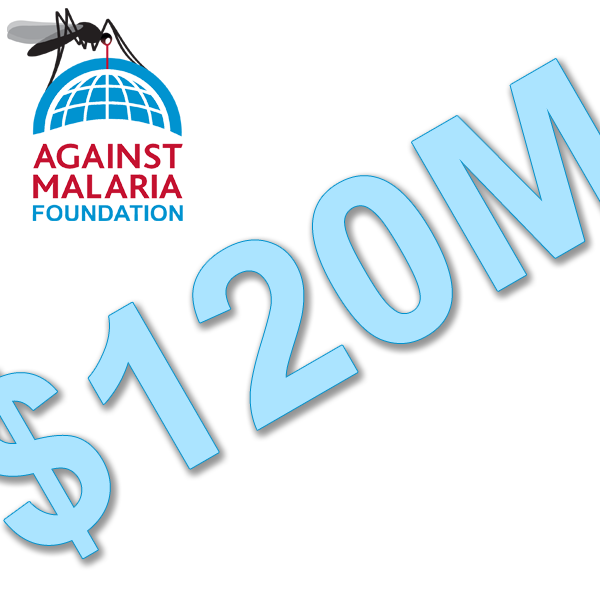 Globally, if we and others can find the funds, we can ensure 180 million people will be protected from malaria. For our part, we are in discussions with a number of countries about their funding gaps which range from 0.8m to 11 million nets. 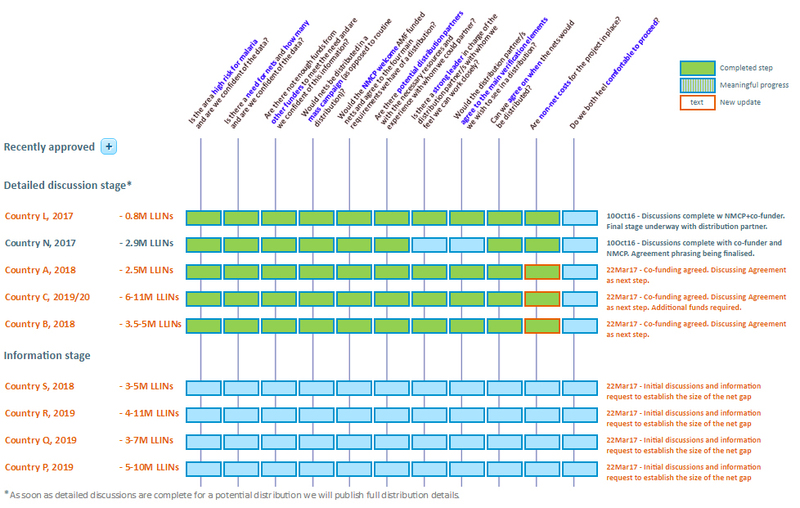 The distributions we are discussing are mostly for 2018 and 2019, but also for 2020, as commitments need to be in place significantly in advance of nets being distributed for countries to properly plan whole-country universal coverage campaigns. There may also be net gaps for distributions in late 2017 that become apparent in the first half of 2017. Those net gaps would require quick action, and uncommitted funds in hand, to be filled. AMF's gap for more funding remains very large and we continue to focus on raising funds to maximize what we are able to contribute. Each additional donation increases the quantity of nets to which we can commit, so we are very grateful for every single donation.